The Pupil Premium Strategy is reviewed annually at the autumn Full Governing Body meeting. 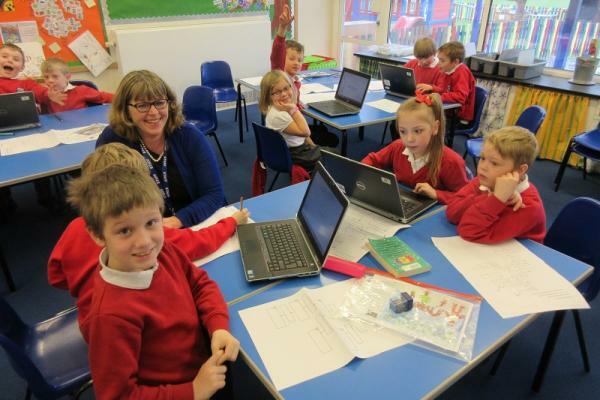 Mrs Penrose (Headteacher and Assessment Leader) leads the provision for Pupil Premium pupils. This provision is under constant review to ensure the targeted use of the Pupil Premium is highly effective so Pupil Premium pupils ‘diminish the difference’ to their peers. Pupil Premium is a sum of money allocated to schools to close the attainment gap between those eligible for free school meals and their peers. Disadvantaged pupils are pupils that have been recorded as eligible for free school meals (FSM) at any point in the last six years (Ever 6 FSM) or pupils in care who have been continuously looked after for more than six months by the local authority. The school receives the Pupil Premium (currently £1320 per year) for pupils who are FSM or Ever 6 FSM. Children from households with lower incomes may be entitled to free school meals. Where parents/carers are paying for school meals (in KS2), families will save around £400 a year for each primary school child if they are entitled to free school meals. As well as receiving a two course meal worth £2.25 every day at primary school, children might also qualify for help with transport costs. Even if your child is in receipt of Universal Infant Free School Meals (UIFSM) in EYFS and Key Stage 1, it is very important you apply for FSM if you are eligible as we will then receive over £1000 per year to support these pupils. Cambridgshire County Council website has more information about Free School Meals and you can read about "Count me in" for the Pupil Premium on the website or in school. Our system of ParentPay ensures that children with FSM are not identified when the dinner register is called in school. Please apply for free school meals if you may be eligible. In 2017-2018, Petersfield Church of England (Aided) Primary School will be allocated £37,260 of funding to support pupils who are eligible for pupil premium grant (PPG). Expecting & supporting Quality First Teaching for all children. Additional evidence based intervention programmes where appropriate. Additional Teaching Assistant (TA) and Teacher support within the classroom. Curriculum enhancement activities to support motivation and engagement, providing access to a rich and stimulating broad curriculum. Social, emotional and behavioural support to reduce barriers to learning. Attendance and punctuality support to ensure full take up of the school offer. Collaborative Oracy project together with the Barrington, Foxton, Petersfield (PFP) cluster. If you would like to read in more detail how we allocate support and funding and track the impact of what we do please click on the links below.